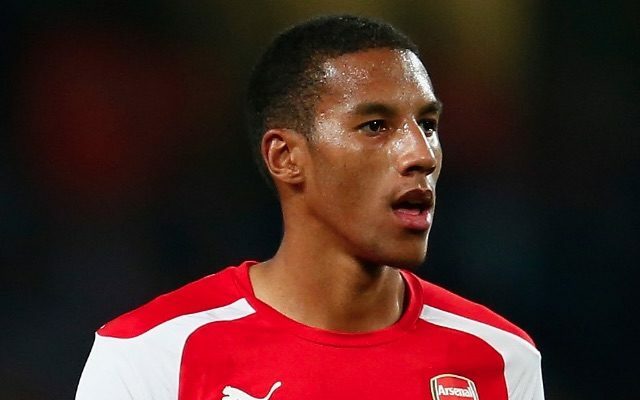 The major Arsenal transfer news this weekend is that Newcastle United are reportedly poised to sign Isaac Hayden on a five-year permanent deal. That’s according to Sky Sports reporter Pete Graves. Hayden has been on Arsenal’s books for the best part of a decade, having joined the North London club as a teenager in 2008. The 21-year-old centre-back, who can also play in midfield, is a former Arsenal captain, having skippered the Gunners at multiple youth levels. Despite forging a fine reputation during his time with the Gunners academy, Hayden has never really made an impression in Arsene Wenger’s senior side. Since making his debut in a Capital One Cup game at West Bromwich Albion in 2013, Hayden has only featured in one other Arsenal first-team game. That was another League Cup tie – a 2-1 home defeat to Southampton in 2014. The rest of Hayden’s first-team experience to date has come on loan at Hull City. He made 24 appearances for the Tigers last season, including 18 in the Championship as the Yorkshire outfit won promotion to the Premier League. Hayden will presumably be hoping to win promotion again with Newcastle, who were relegated to England’s second tier in May.